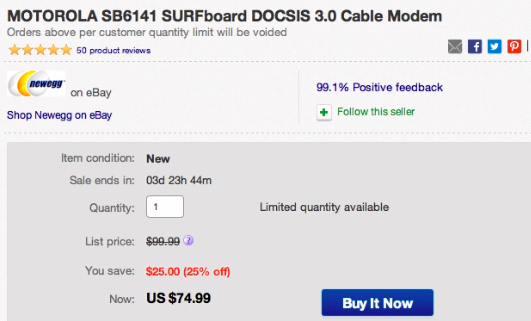 Newegg via eBay Daily Deals offers the Motorola SURFboard SB6141 DOCSIS 3.0 Cable Modem for $74.99 shipped. That’s a savings of $25 off the original list price, $11 better than Amazon and the lowest that we could currently find it. Over 3,500 Amazon customers rate this cable modem 4.5/5 stars. The SB6141 is compatible with the majority of major internet service providers, including Comcast, Time Warner, Cox and Bright House. This is an excellent opportunity to purchase a cable modem and stop paying monthly rental fees. Comcast subscribers will find this purchase will pay for itself in roughly six months, given the average modem rental of $12 each billing cycle. 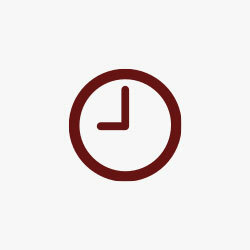 DOCSIS 3.0 is the latest in cable modem technology, with the SB6141 featuring speeds up to 343Mbps down and 131Mbps up. Additionally, this Motorola SURFboard supports IPv4 and IPv6 as well as AES traffic encryption. 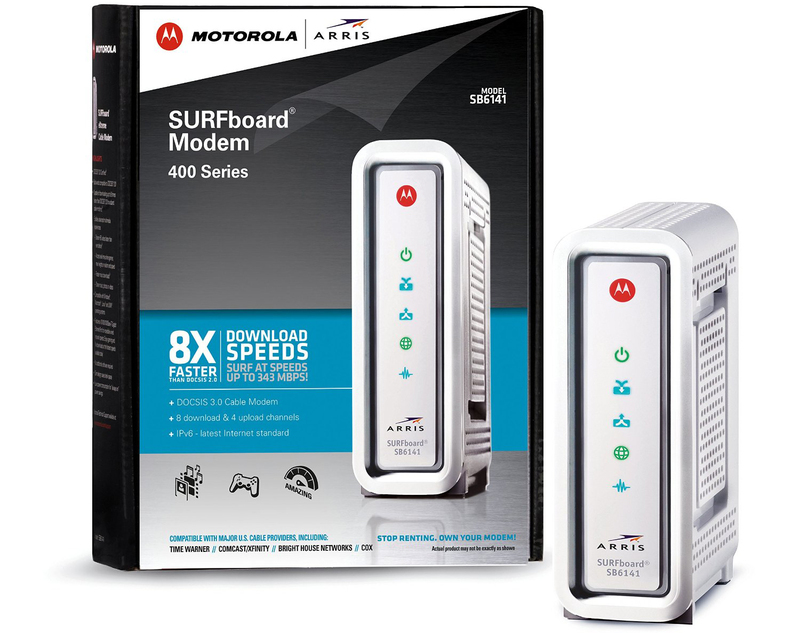 This modem pairs well with most 802.11ac routers, such as the Apple Airport Extreme, ensuring a quality high-speed internet connection.